In this activity, students will see that, when a small particle is surrounded by water molecules (or by other atoms/molecules), the resulting motion looks random. The particle appears not to move in straight lines. However, this apparently random movement is due to collisions with many other atoms or molecules, all moving in straight lines until they collide. 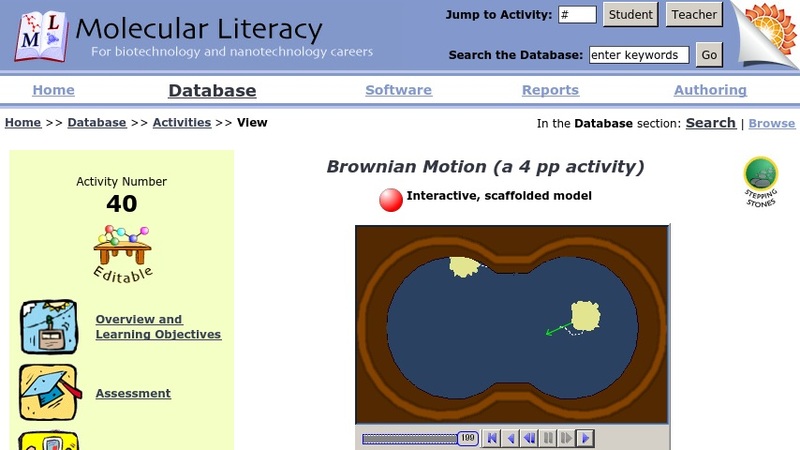 Students will be able to: Replicate Brown's experiment in which he discovered Brownian motion; explain that the apparent random motion of atoms and molecules is responsible for many cellular processes; analyze how temperature influences the motion of particles.